The inaugural Métis Talks included presentations by Dr. Brenda Macdougall and Dr. Nicole St. Onge on Kinscapes, while Dr. Nathalie Kermoal presented her research on the Urban Housing Needs of the Métis in the 1970-1980s. 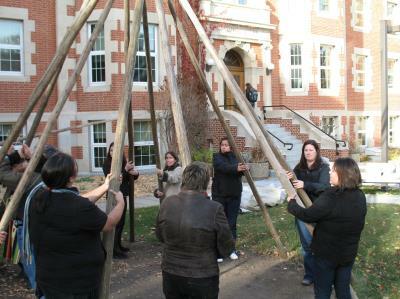 In addition to this event, we hosted a small ceremony to officially display the Red River Cart now sitting outside Pembina Hall. 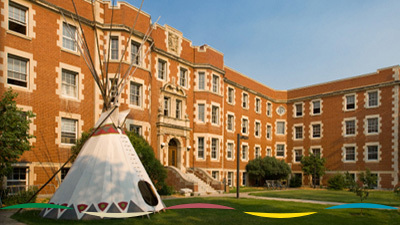 The Red River Cart was a gift to the Faculty of Native Studies from the Métis Nation of Alberta, signifying the partnership between the MNA and the U of A + the Rupertsland Centre for Métis Research, and recognizing the presence of and contributions by Métis people at the university. It was officially revealed on November 17, 2015, following RCMR's inaugural MétisTalks.